Hi! Sorry for my absence. I've missed you! I thought I was just tired and recovering from Austin Fashion Week last week, but it turns out my thyroid levels dipped a little low (I have Hashimoto's thyroiditis). No worries, though! I went to the doctor this morning and got a little adjustment in my medicines, and I should be back to 100% tomorrow! After my doctor's appointment, I went to Walmart to get my oil changed. I had an hour to kill, so I thought I'd show you some things that I've found do not work for a pregnant body. Laugh and enjoy! Don't tell me to just move up a size. B- This is a size large. Classy, Adams. Real classy. 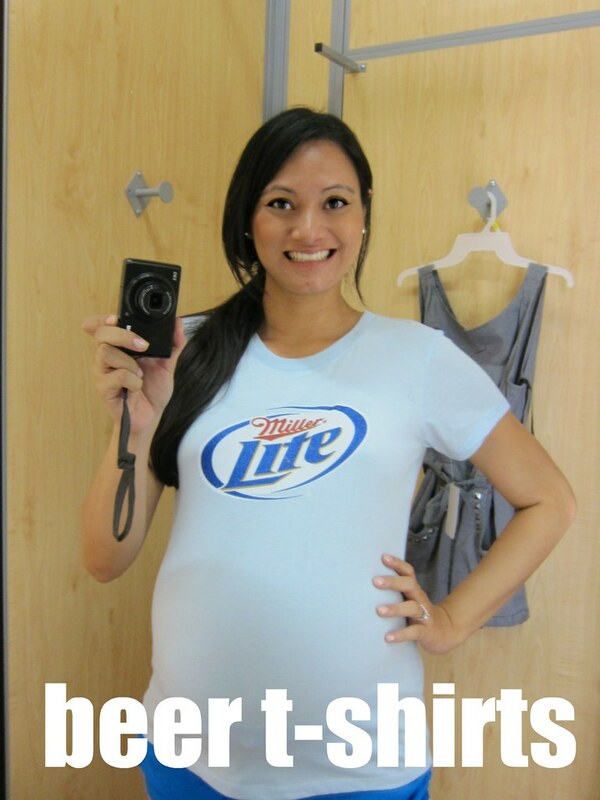 Makes you wonder, "Is that how she got pregnant in the first place?" 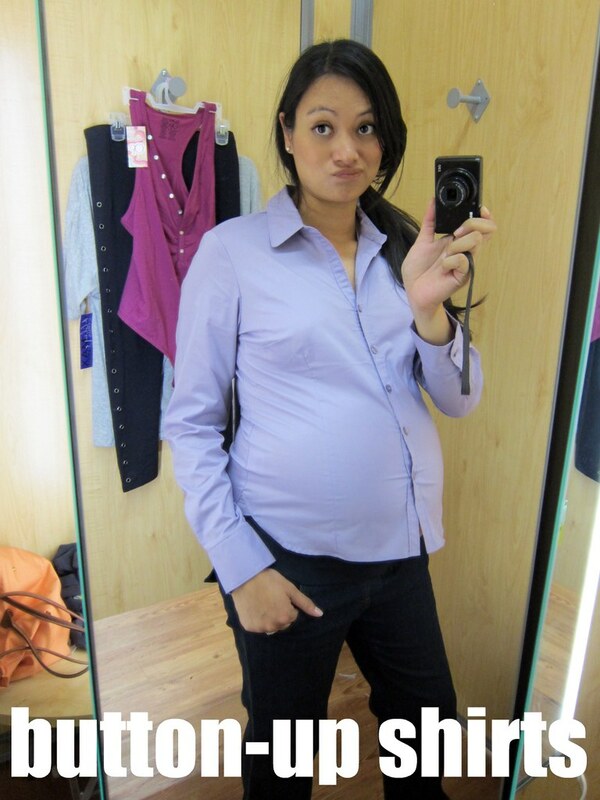 I know that maternity pants (and pants in general) are hard to keep up and around a gestating womb, but nothing makes a pregnant body suddenly look like an old man's beer gut body like suspenders. but then one of your co-workers loses an eye due to a projectile button off your shirt. 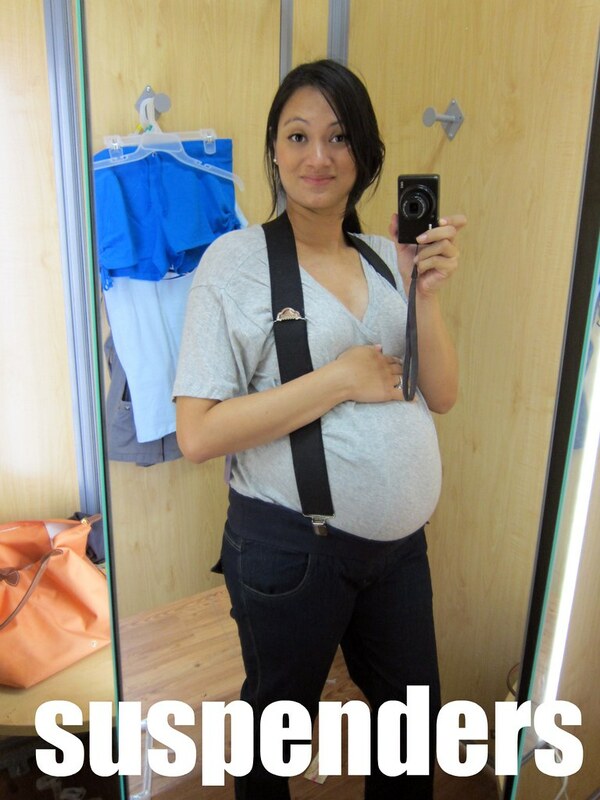 You thought the combo of maternity pants and suspenders was bad? 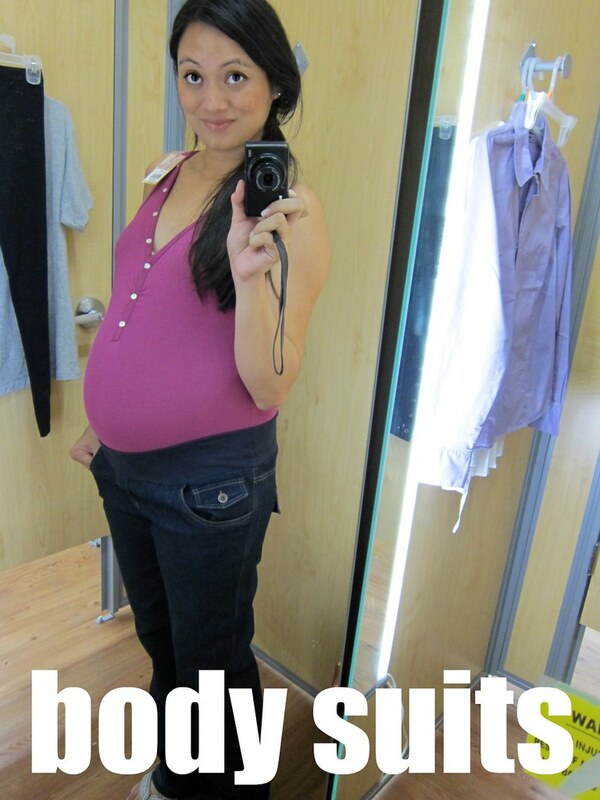 Obviously you have never seen the combo of maternity pants with a body suit. Um, just because you can squeeze into it doesn't mean you should wear it. Yikes! 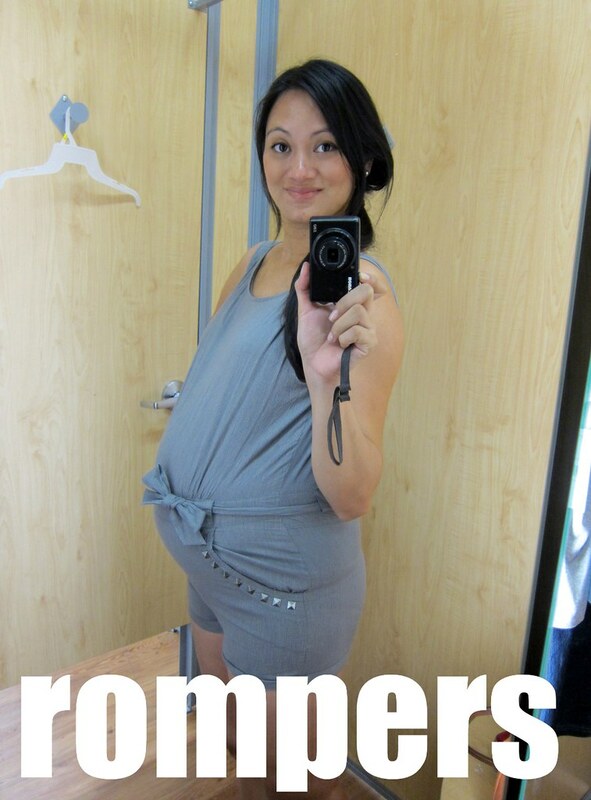 Is there anything else that pregnant women shouldn't attempt to wear?